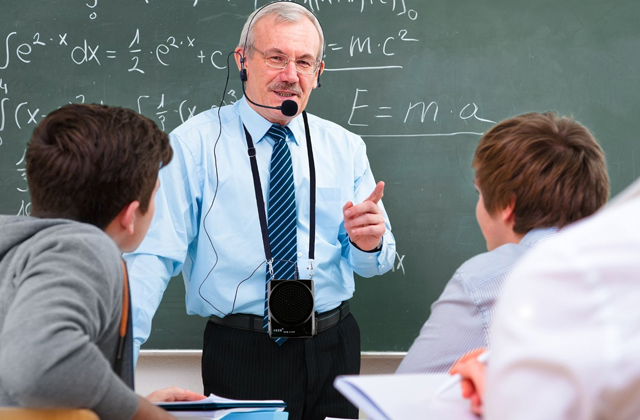 Have your hands free thanks to foot-switch controller. The tripod stand may seem hard to disassemble and put back into the bag. This 4-head bar light system is easy to install. 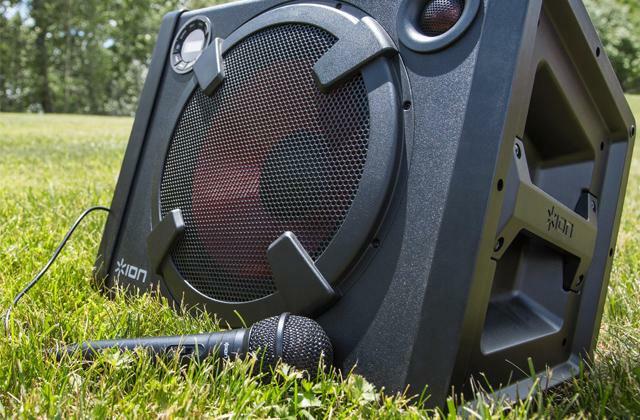 A perfect solution for any performers, especially mobile DJs. It's necessary to set the tilt angle carefully to prevent a laser from damaging your eyes. 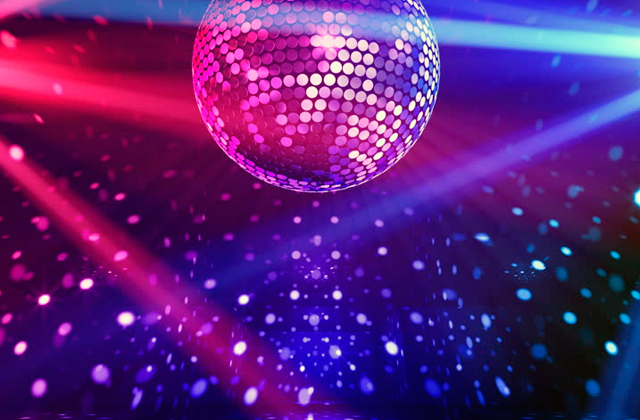 The fact that even one 3-in-1 LED light can provide a good-quality lighting makes it an irreplaceable tool on a dance floor. Multiple choice of different operational modes for specific purposes. 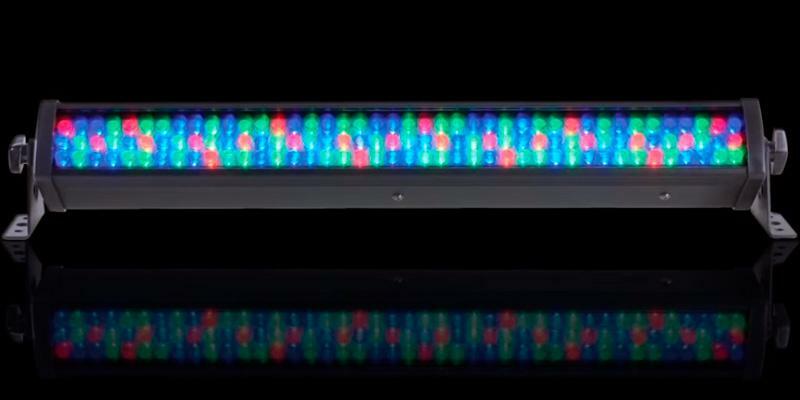 This compact light bar can be used not only for shows but also as interior decoration. Durable LED with a lifetime of about 100,000 hours. No option for "Daisy chain" power connection from one unit to the next. This stage light unit gives out colorful and bright light shapes for even more spectacular visual effect. 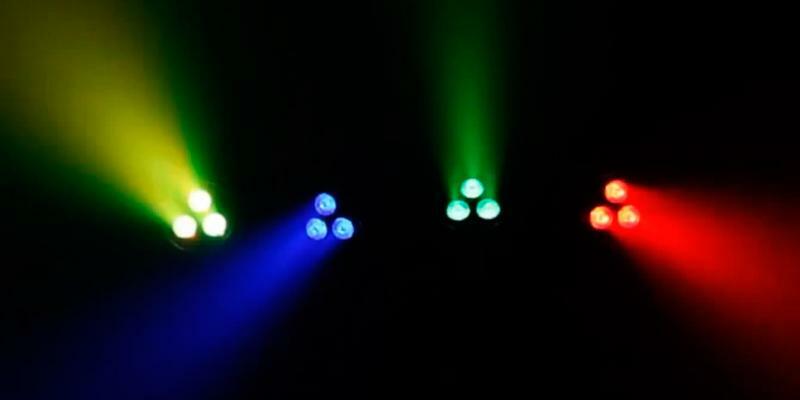 A wide variety of colors will turn your event into a real light show. Light beams are not bright enough. Worthy lighting device for basic light effects. 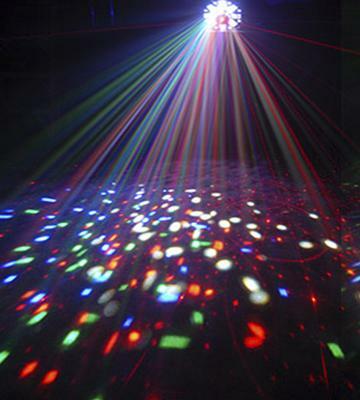 A number of bright beams will colorfully illuminate your house party or a small show. 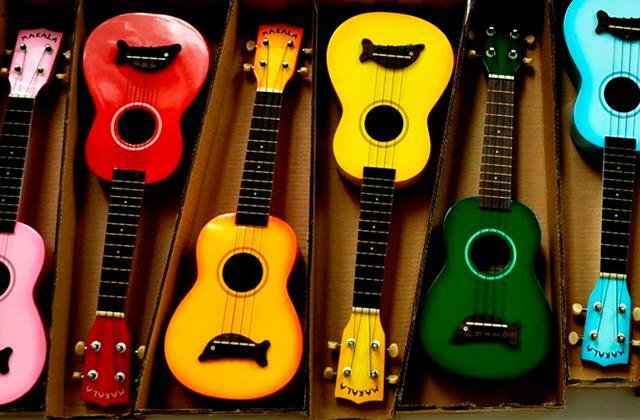 This product is the excellent solution if you want to brighten up a party or performance. This set includes 4 spotlights, a tripod, and a control. 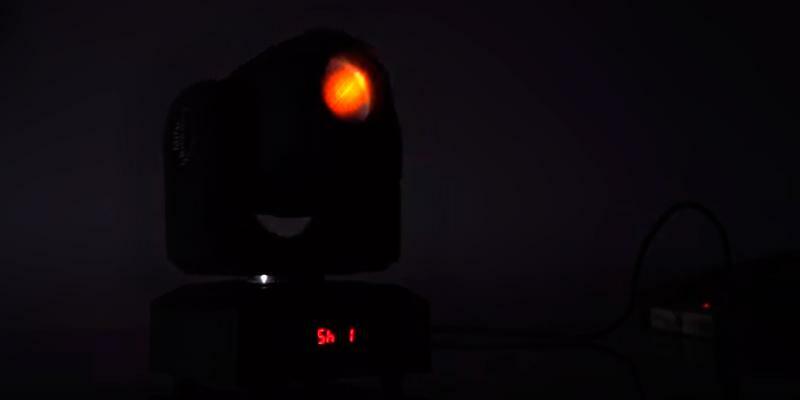 Each projector consists of 3 LEDs that can produce different colors. Depending on a selected program, projectors give out red, green, blue and white colors. 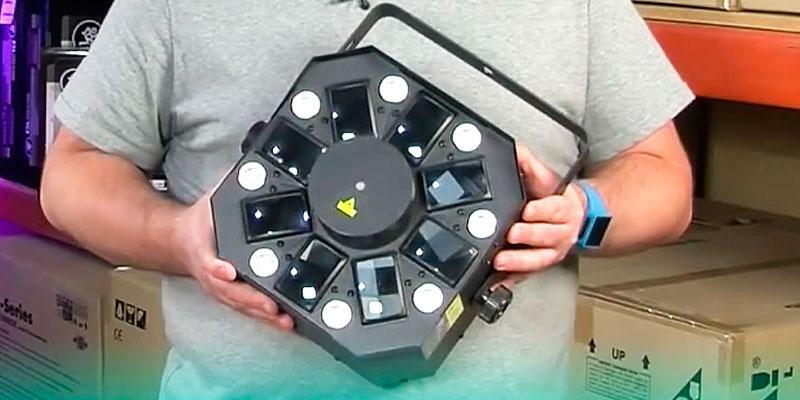 This lighting system is easy to set up; it takes less than 3 minutes to unpack the product, fix the spotlights and connect them to the T-Bar controller. The T-Bar has a LED manual control panel, but you can also wire up other controls. 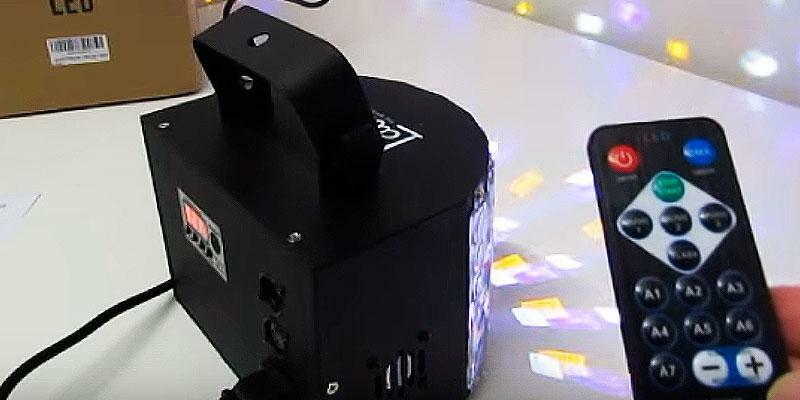 There are connectors for DMX controller, so you have the opportunity to create your own light shows and adjust them as you like. It’s also worth noting that DragonX 4 Bar mobile DJ lighting stand comes with a two-pedal footswitch: the right one is used to control programs while the other activates a black out. We think you'd agree that it’s very convenient to have your hands free. Our team believes that this light kit has many advantages such as easy installation and configuration, high-quality lighting, and multiple operation modes. It is supplied with a bag and case for safe transportation, and a tripod lighting stand to install it at a height for maximum lighting effect. Everywhere we go, it’s impossible to not come across a device that uses LEDs, and for that, we have to thank Nick Holonyak, the person widely credited with the development of the first visible-light LED. Nowadays, manufacturers of various lighting devices use this technology, and the incandescent bulb is rapidly becoming a thing of the past. LEDs give off almost no heat so a much higher percentage of the electricity used goes towards making light, in contrast to incandescent bulbs where a good percentage of it ends up being converted to heat. While incandescent bulbs generate most of their energy in heat, LEDs are cool to the touch that means less wasted energy. Considering all of the above, LEDs are no doubt way ahead of any other light sources. 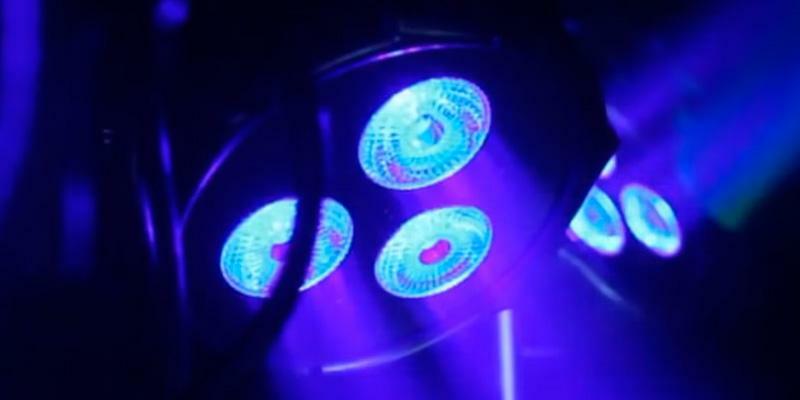 If you are still skeptical about LEDs, just try one out for yourself and you’ll see the difference. Accu DMX Cable - A perfect cable for your DMX control needs. Chauvet SWARM5FX is a LED centerpiece that combines 3 effects in one fixture: multicolored wash lights, strobe, and laser beams. More than 5 years of nonstop party – that’s how long Chauvet will work. It’s up to you to decide on lighting colors, there are 5 of them: red, blue, green, amber, and white. A strobe effect is achieved by eight 1W lamps between the LEDs. The frequency of flashes varies from 0 to 20 Hz for even more incredible effect. Along with thousands of red and green laser beams, you'll be impressed by how much color and movement this Сhauvet lighting will bring to your show. 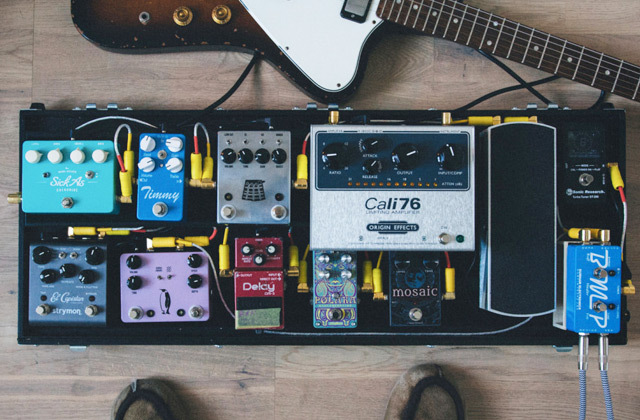 The given device has Power In/Out connectors to conveniently daisy chain power from one fixture to the other, so no more worries about extra sockets and power cables. DMX In/Out connectors will come in handy if you want to turn on the Master/Slave mode. Just connect the master unit to a DMX controller and designate the other fixtures as slaves via their LCD control panels. In this way, there will be fewer power cables and slave fixtures will synchronize. That certainly simplifies the control. 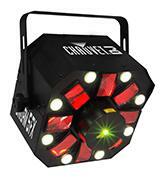 In our opinion, Chauvet SWARM5FX is a unique LED stage lighting, that even by itself can provide spectacular effects. 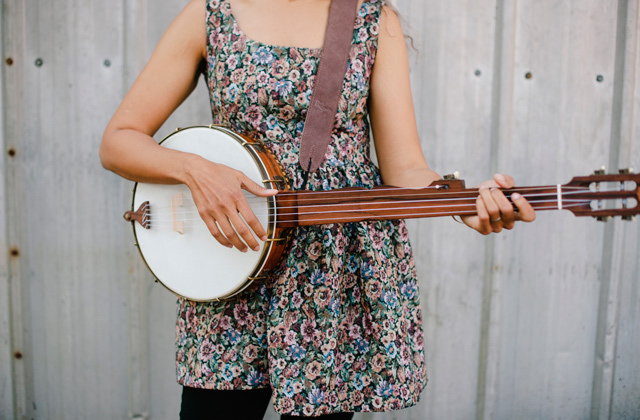 Undoubtedly, such a device will be an excellent addition to any party or performance. Chauvet Lighting Hurricane 1101 Fog Machine - Make it a set by adding a perfect fog machine for a complete output. This LED stage lighting from a well-known manufacturer has a pretty large number of various modes that you can conveniently switch using a wireless remote from up to 30 ft. 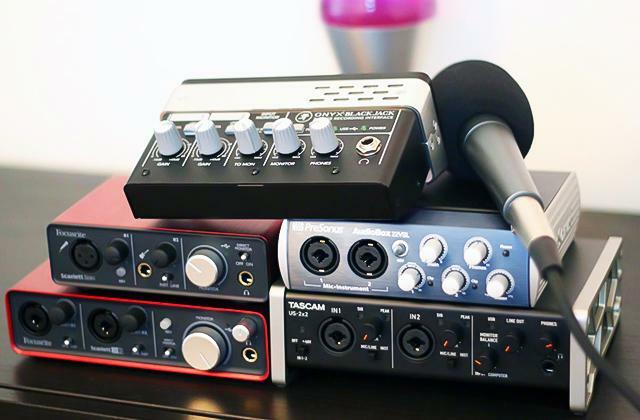 The complete control over your ADJ is right in your pocket. 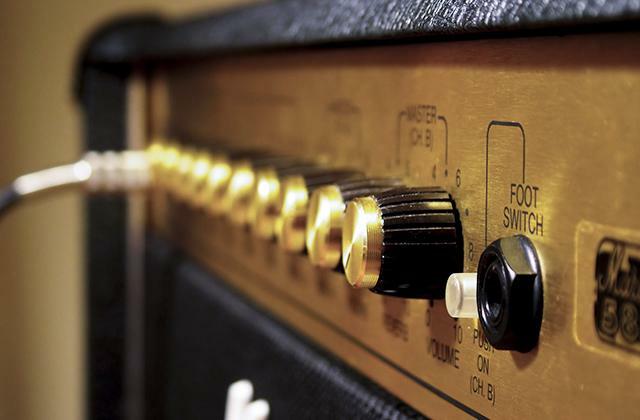 Change anything from the sound sensitivity to the program speed with a simple click. To add some romance, there is a mode in which the Mega Bar 50RGB RC will fade in and out of the different colors. Another mode allows syncing light fixtures to music beats. Pressing the “+” and “-” buttons adjusts the flash rate of the strobe, color brightness, speed of the Auto run, and sound sensitivity. Pressing BLACKOUT button, as you may have already guessed, will blackout the fixture. 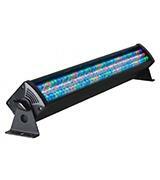 The American DJ Mega Bar 50RGB RC has 50 small light-emitting diodes with 32 colors to choose from. The device can be floor mounted for uplighting effects or you can use included mounting brackets to set it up on a wall. 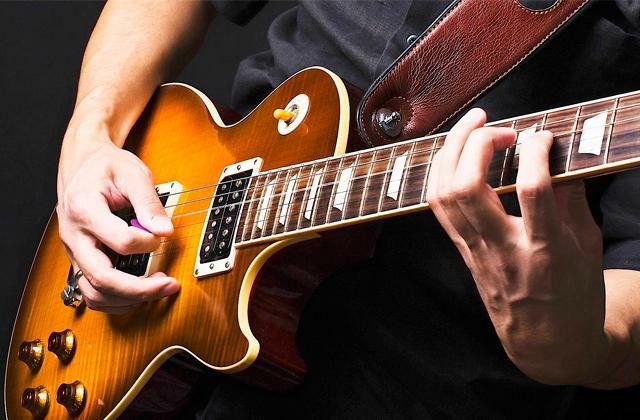 We have mentioned before that one of the advantages of LED Lighting is very low heat output, so the performers won’t be annoyed with heat emission. Also, to make a show more spectacular, the fixture has 0% to 100% dimming adjustment option. The beam angle of this light bar is 40 degrees, but the system itself allows you to select the light direction, so you can always adjust the preferred lighting area. We think that such a device will not only bring wonderful visual effect, but it can also be a key part of interior design. So if you consider highlighting a bar counter or a shop window, this fixture should be on your radar. ADJ Supply RGB3C Controller - A great addition to your laser stage lighting to be controlled by DMX. 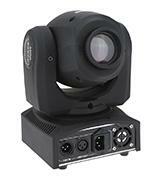 Lixada DMX-512 is an LED-powered moving head. It supports a variety of operating modes that can be changed in several ways. This lighting device offers fast pan movement through 540 degrees and tilt movement through 270 degrees; this allows projecting the light beams in any direction. A set is supplied with a mounting bracket and 2 screws for you to choose a preferable installation method. 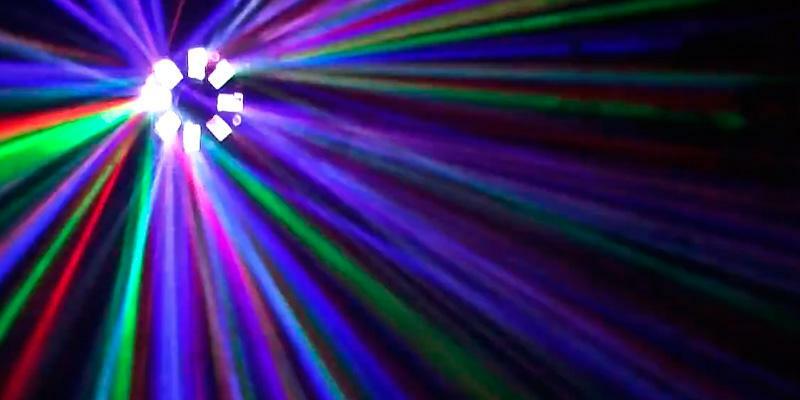 This mini moving head lights can hang from a truss to fill the dance floor with color. You can also install it on a wall or put in on the floor to illuminate the ceiling. No matter how you install - be sure, it will create an impressive show. As for the connection, keep in mind that the power cable is only 4.1 feet long, so you will probably need an extension cord. This mini laser stage lighting allows you to control the shape of the emitted light. You can easily change the pattern along with its color. The given device projects 5 different images of 4 primary colors: red, green, blue, and white, which you can mix to get the desired one. The good news is that each pattern can come in any color multiplying the number of image projections. Connecting the fixture to the DMX controller creates the possibility for pattern circuits which will make fantastic visual effects. We can definitely say that this stage light unit is wonderful to make party activity more joyful. 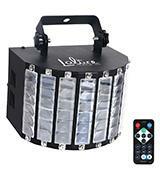 It is a great and affordable fixture, easy to set up and travel with, so you can expand a light show wherever it is. Lixada USB to DMX Adapter - A great affordable solution for controlling your stage lights from a laptop or PC. 12W Mini Led Spot Moving Head Unboxing & Quick Review !! 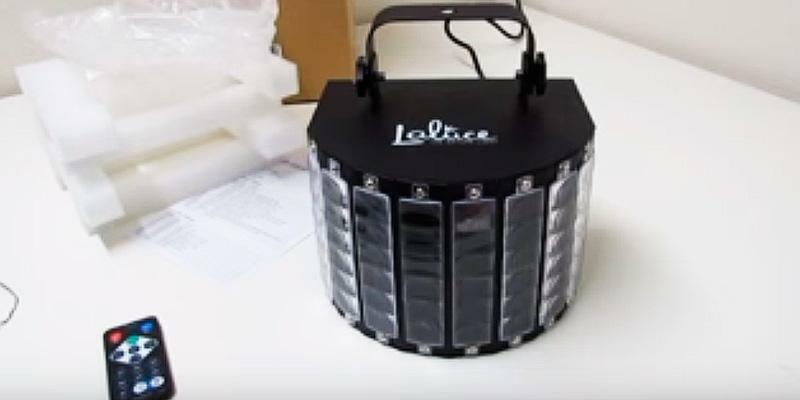 Laluce Stage Light 27W pleasantly surprised us. To begin with, this LED centerpiece even by itself will give your venue the atmosphere of fun and energy. Though the fixture doesn’t have a rotating base, the lighting beams are pointed in different directions, so it can easily illuminate a pretty large area. A set of primary lighting colors is really amazing: besides the common red, blue, green, this device also provides yellow, rose, purple, orange, amber, and white light. All these color beams are emitted from the 8 panels, six light sources each. You can easily mount this device at the DJ light stand, wall, or ceiling and control it with a remote. It supports all basic operation modes and DMX is not the exception. 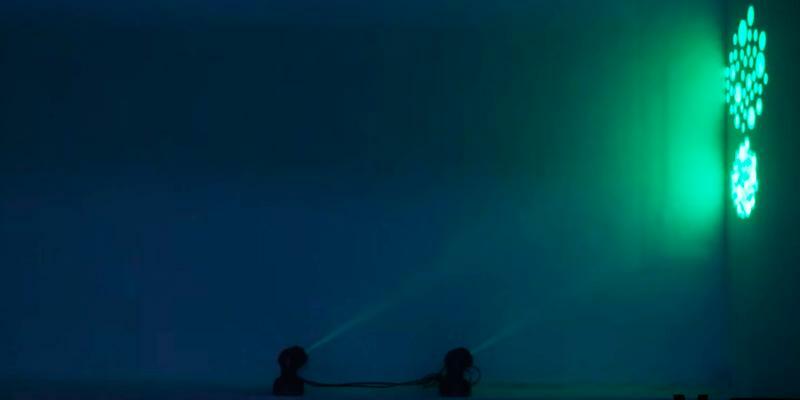 Considering all the above-mentioned, we believe that this lighting device is perfect for any indoor venue. Your guests will certainly appreciate the brilliant colors and bright lights. Did you know that there is the exhibition of professional lighting equipment called Prolight + Sound Shanghai, which has been held in China since 2003? It is one of Asia’s best-known entertainment technology shows. About 500 leading companies visit the exhibition to present their latest products. This year it will take place at the Shanghai New International Expo Centre. Thousands of interested people are going to attend outdoor demonstrations to see all the latest technological innovations in the field of lighting and sound equipment, and to participate in various seminars and forums to find out something new or make useful business contacts for further cooperation. A trip to Prolight + Sound Shanghai will be of use to those who are really interested in this field. The official site of Prolight + Sound Shanghai. Chauvet CH-06 9-feet Lighting Stand - a good solution for mounting your Laluce Stage Light at a height. 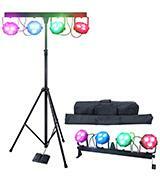 Lighting equipment is a group of devices that create a variety of lighting effects and brighten the ambience of various performances, concerts, shows, and presentations. Nowadays, it is impossible to imagine a club without this equipment, it creates a special atmosphere for a terrific party. If you want to add smoke effect, please look through our best fog machines review to make the right choice. Choosing light equipment, it is very important to define its features first. 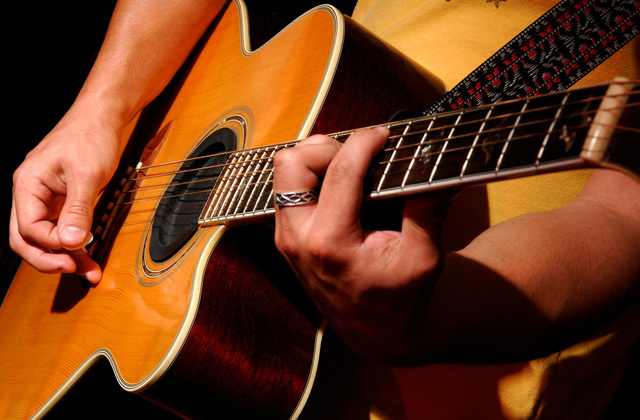 You should choose an appropriate device that will provide the necessary light effect. There are gobo projectors, that can project different images on a surface by using high-quality optics. Scanners reflect the light through the lens and change the image color and shape. The moving heads are the scanners that rotate in different directions along the axes and change shape and color of the image, that is why they are on the top of lighting fixtures list. 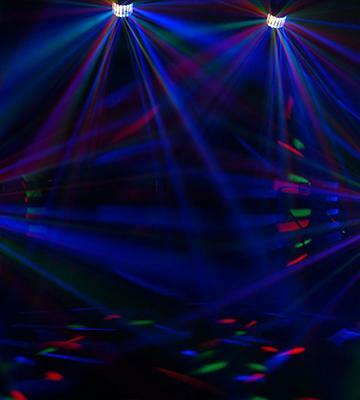 There is a group of lighting devices considered central because they provide symmetric illumination by various LED lights and laser beams; they can generate a sequence of flashes called a strobe light. Also, pay attention to the color diversity. 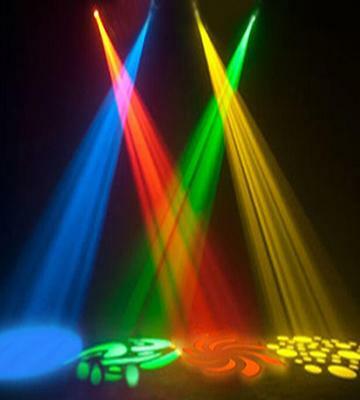 The more colors lighting equipment provides, the brighter your event will be. There are several different options for lighting fixture control, so take heed which of them is supported by the selected device. The best way to control the device is DMX mode. The DMX controller allows you to program various lighting schemes, a frequency of their changes, etc. You can simultaneously connect several light fixtures or other devices for special effects to one controller. This allows conveniently controlling them all at the same time. Nearly every device has a manual control; usually, it’s a LED display on a rear panel. 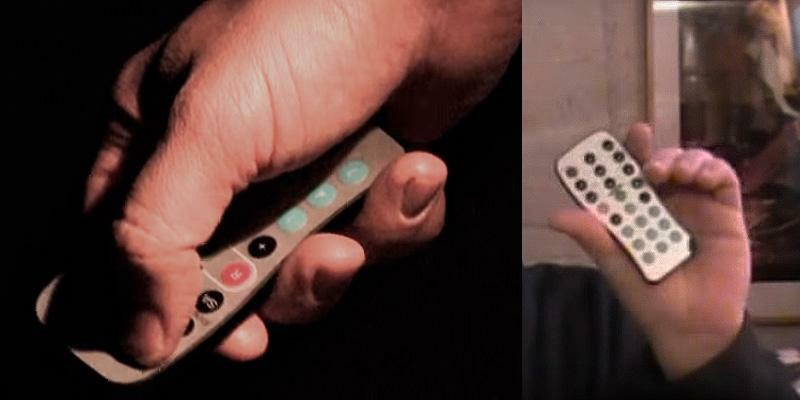 A remote control is a great addition to change the color of light beams or switch the mode from a certain distance. Another important thing to consider is working modes. There is the Auto mode with programmed color schemes where all you need to do is customize the frequency of their changes. 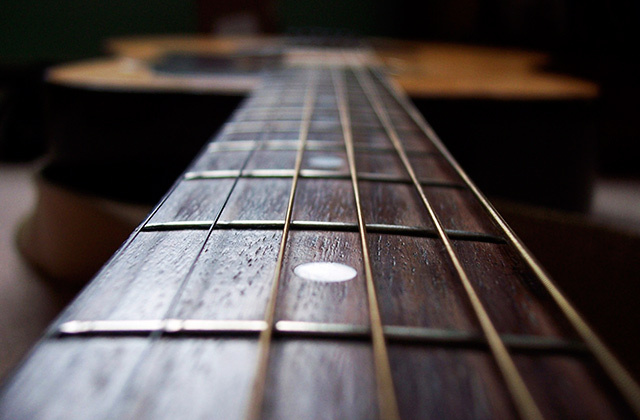 In the Sound-active mode, light colors will change with the rhythm of the music. In the DMX mode, the device receives the signals from the controller that sets look and timing of lighting effects. The Master-Slave mode allows you to connect multiple devices together without a DMX controller. 1. 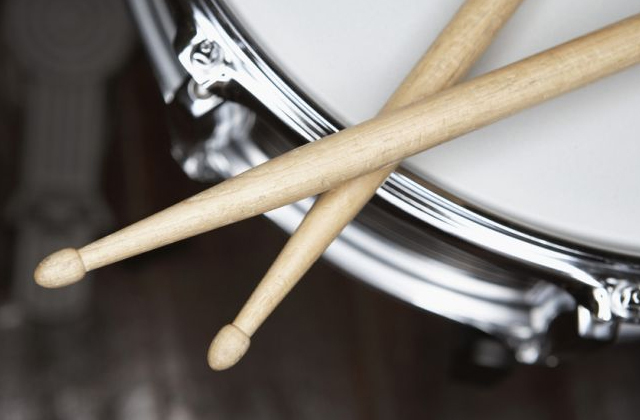 Band and DJ Lighting and Stage Effects Buying Guide, The HUB. January 20, 2014. 2. 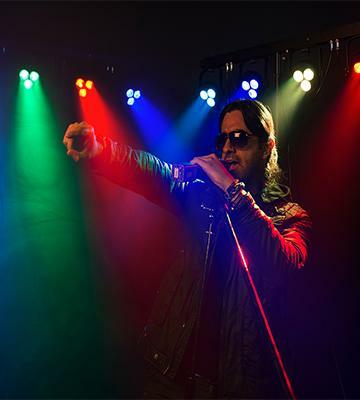 Rob Sayer Pro Production: A Guide to LED Stage Lighting, ProSoundWeb. March 28, 2013. 3. 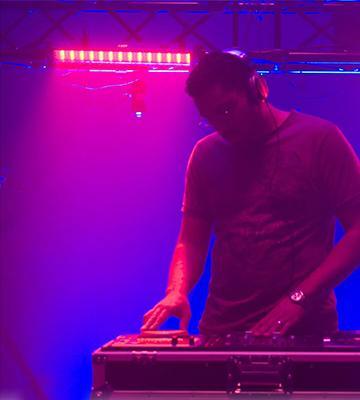 Terry_42 Lighting: A Guide For DJs, Part 1, Part 2, Part 3, Digital Dj Tips. October-November, 2013. 4. James Bruce An Introduction To DMX Lighting Control, MakeUseOf. November 18, 2012. 6. Lighting Equipment Every DJ Should Own, eBay. March 10, 2016. 7. How to Do Stage Lighting, wikiHow. 8. John J. Rankin Basic Principles and Techniques of Entertainment Lighting, Vincent Lighting Systems. 9. Terry_42 Review & Video: American DJ Mega Go Bar 50 LED Lighting Unit, Digital Dj Tips. May 27, 2013.